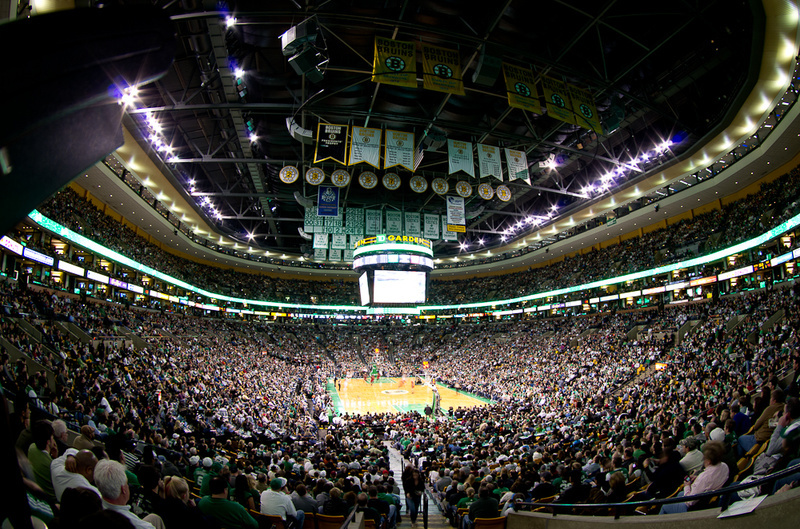 The latest renovations at TD Garden will be an even better makeover of suites than you will find on any HGTV reality show. The suites will include many state-of-the art features including ways for companies to brand themselves to clients they are entertaining during the games. 1. Integrate with social media. To encourage fans to tweet where they are, or just tweet about the team in general, small screens could be added in the arena devoted to displaying any hastags related to the Bruins, Celtics, TD Garden, or the event that is taking place. Not only would this promote the venue, teams and events, but it would also get the fans more involved. Would this have to be monitored? Absolutely. 2. Install LCD monitors in the loge concourse for commuter rail status. The Prudential Center in Newark, New Jersey offers fans walking in the concourses during the end of events the chance to view LCD screens with the status of commuter rail, which is just blocks from the station. As soon as fans leave their seats, they can view screens showing train times, track numbers, and status of trains taking the 13 mile trip to New York City. There is no reason why this cannot be implemented to the concourse of TD Garden, making it easy for fans taking the commuter rail below the arena in North Station. 3. Add colored lighting to the roof over level 9. An underrated feature of TD Garden is the outside lighting they have at night, which really jazzes up the arena. Between the new sign on Causeway Street, and the lighting on the outside roof, the arena looks very modern for a venue built in 1995. Why not add similar colored lighting to the roof over level 9 in the arena? It is already lit-up all around the interior of the arena, but adding color similar to the red lights Mohegan Sun Arena uses would be a great way to create a new vibe at TD Garden. Zach Baru can be followed on Twitter @zbaru. He can be reached at zachbaru@gmail.com.